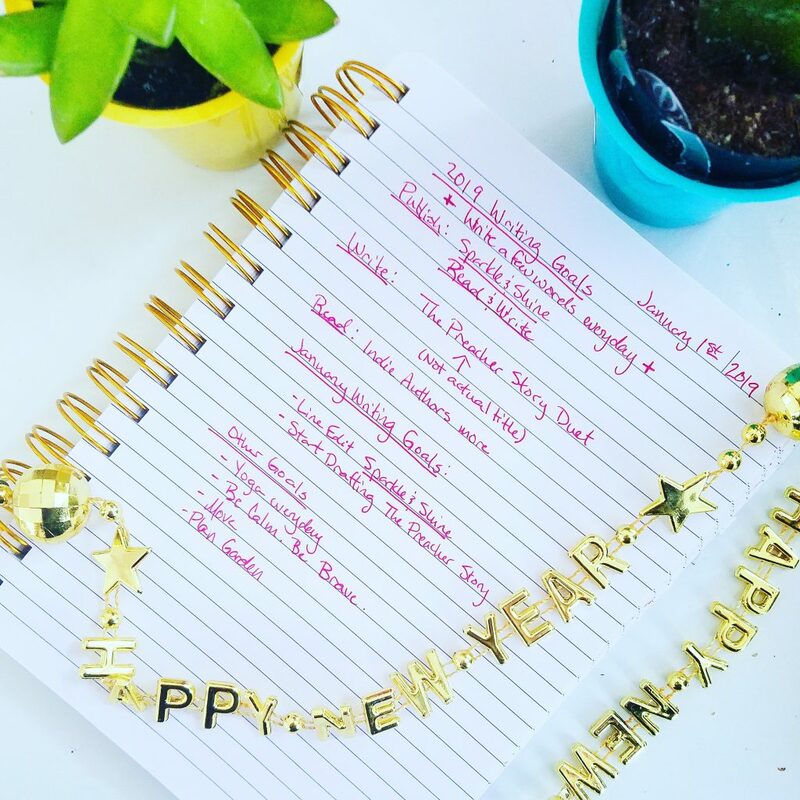 I posted on Instagram yesterday about my 2019 writing goals. You can see my “other goals” for the year down at the bottom. They are pretty broad, but they include the mantra I’ve lived by for the last couple of years. I’ve never made it public before, but these are the short, simple sentences I repeat to myself every morning, whether it’s during my yoga practice, or when I open my laptop for the day, or even just while I’m driving the kids here and there. I want to say that calmness has nothing to do with being even tempered. I think there is a misconception, especially in women, that staying calm is the same as always presenting a cool, collected front. That somehow someone is calm because they have abstained from making others uncomfortable through displaying their emotions. This is not what I mean by calm. To me, Calm is the act of letting go of worry, letting go of fear, and letting go of anxiety. It is acknowledging the emotions I feel and giving myself time to examine them to understand why I am feeling what I’m feeling. Likewise, my version of bravery isn’t the sort that values valor and heroic effort. I’ve always found that sort of bravery shallow and short-sighted. What I mean by bravery is having the courage to reveal my inner self the way I do in my writing and marketing. It is having the courage to tell myself daily that my books matter and I am worthy for having written. And most important of all, it being brave is having the courage to own my own what I feel and believe in the legitimacy of my own emotions. When The Avengers movie came out a few years ago, there was the moment toward the end where Bruce Banner turns toward the camera and says that his secret is that he’s always angry. And then he turns into The Hulk on purpose when nobody thought he had any control. That was probably the most profound moment I’ve experienced watching a comic book movie. I sat up straight and had to stop myself from pounding my chest in solidarity, since I too am always angry. I’m angry about how long I let my fear control me. I am angry about how other people sought to manipulate me through that fear. I am angry about how my emotions (and the emotions of most women) are policed and invalidated everyday simply because we are women. I am angry about how my own rage is used as a reason to dismiss my outrage when I point out injustice. I am angry that when I tell people what I write, I feel as though I immediately have to defend it. I have been reading Rage Becomes Her: The Power of Women’s Anger by Soraya Chemaly because I have been so angry for so long. And embracing my anger and acknowledging the hows and whys to it has been a decade long study for me. And it is so good to know that I am not alone. Anger isn’t the only emotion I deal with, but I still totally claim The Hulk as my spirit animal. Coming to grips with my inner raging green monster is what I mean when I say that my mantra is Be Calm. Be Brave. I am telling myself that it okay to let the world see who I truly am instead of who they expect me to be. And it is the hardest thing I have ever done.